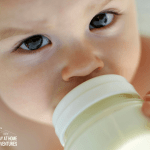 Baby in diapers and 7 tricks to help you save money on baby essentials is a sponsored post in partnership with Parent's Choice and The Motherhood all opinion are my own. The cost of raising a baby seems to be going up and up every year. I remember when I had my first child years ago diapers were a lot cheaper. Having a baby in diapers is wonderful, it’s a time that I enjoy. But the reality is that raising a child cost money too. When I was a first-time mom, I made ton of first-time parent mistakes. In my head, I associated giving my child everything meant I was being a good parent. The truth is, that after the first child, we grow as parents and that wasn’t necessarily the case. Hence the amount of debt I paid off and lifestyle chance. Twelve years later after having my first child, we had our second child, and at that time I was terrible at managing my money. I was a financial mess. It was while being on bedrest that I was figuring out what to do with my financial mess and a baby coming anytime. I looked around and saw tons of baby stuff that we had bought without planning. I decided that we had to get smart about our money and how we spend money on baby essentials. These items were bought without care or thought as to how it was affecting our finances. It was a lesson learned when it came to buying to impress and without budgeting. We were lucky that we were able to pay our debt and I was able to become a stay at home mom after my 3rd baby was born. And thanks to my money savvy ways, having another baby in diapers didn’t bust our budget this time around. 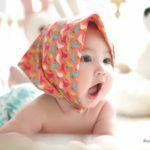 Today we are enoying our 4th baby in diapers and I will share with you, mom to mom, how to save money on baby essentials, so you can use that saved money for something else. Be a money-savvy mom and enjoy your baby. 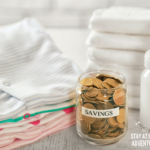 Use these money saving tips to invest right back on your baby’s future. Yes, to save money you need to have a budget and see where your money is going. Dedicate a portion of your budget to your baby. Our category in our monthly budget is called Baby and this is a set amount we dedicate to spending on baby essentials. Always use a shopping list when shopping for your baby or anything for that matter. A baby list of things you need will give a clear view of what is needed and prevent you from over buying stuff you don’t need. Believe me, it is so easy to give in and buy items we think our baby is going to like, but the truth is that we are taking a chance and we are buying not because we need them but because our baby in diapers is going to love it. The reality is that they won’t care about price or how much it cost. When I go shopping, I create a list of items I need to buy and follow what I wrote on my list. Yes, create a weekly meal plan for your baby of what he is going to eat for breakfast, lunch, dinner, and even your baby’s feeding time. A meal plan will allow you to see how much you will need; it will also save you time when it comes to looking for items to make for your baby. Having a clear idea of what you will be giving your baby or toddler will save you time in the kitchen. This goes along with meal planning for your baby in diapers. You see, prepping meals ahead for your child will again, help you save money and time and you will be able to use that time on something else. OK, this is something I learned the hard way and will tell you that when it comes to store brands for my baby in diapers you will be able to save money, and lots of money. You see, store brand diapers are very affordable and quite honestly, they have impressed me with the quality as well. Raising four kids, I can tell you that the price of diapers has gone up and will continue to go up sadly. But that shouldn’t discourage you when it comes to money saving. Here’s what I do to save time and money on my baby, we use products from Walmart Parent’s Choice. Now let’s talk about Parent’s Choice for a minute. When I’m low in my baby’s essentials, their products are very affordable, and with over 275 products I find just about everything we need. The diapers and wipes quality are fantastic and so are their prices. You’re talking about a brand that has been around for nearly 20 years and continues to improve. Purchasing store brands like Parent’s Choice will help you save money when it comes to your baby in diapers. And talking about diapers have your tried their diapers and wipes? 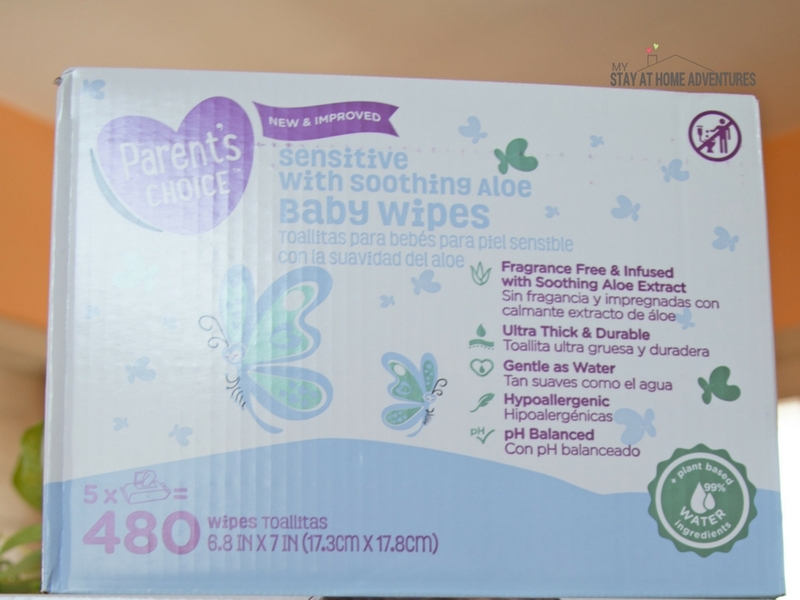 Their diapers and wipes are very affordable, and they have helped us save a bunch of money. 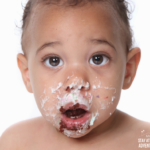 If your child has sensitive skin as my baby, they offer sensitive wipes and fragrance-free wipes too! 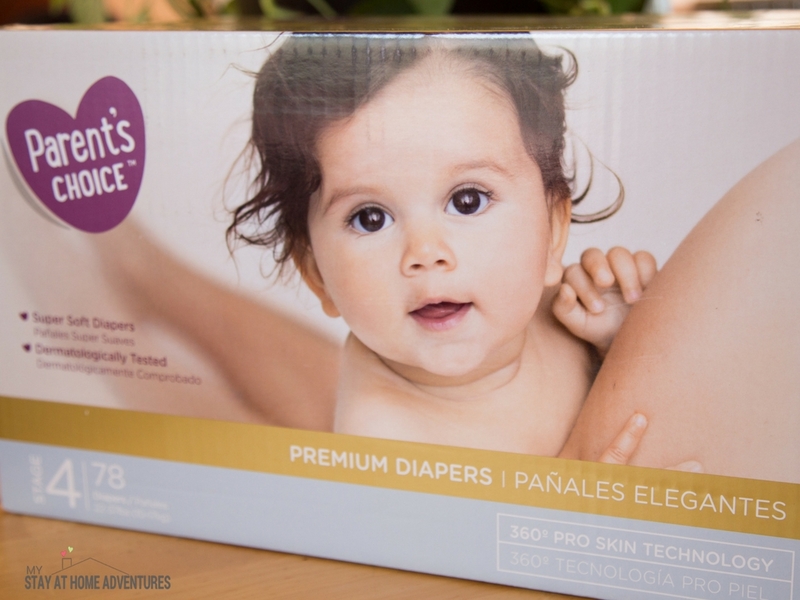 I am passionate about saving your hard-earned dollar and below you will find more about why we buy Parent’s Choice diapers and Parent’s Choice wipes for our little one. Hypoallergenic, perfume and latex free. Locks in wetness for drier bottoms. Breathable to support healthy skin. Snug and comfy fit. Wetness indicator changes color when wet. Made with 99% water plus naturally derived ingredients. Hypoallergenic, PH balanced and fragrance-free. Infused with Soothing Aloe extract. Made with 100% plant-based material. Made with 99% water plus plant-based material. Ultra-soft and quilted wipe, gentle on skin. Fresh scented wipe enriched with Chamomile. Now, seriously when compared to another expensive brand you will find just about the same description on their box. The only difference will be the price! Not only does Parent’s Choice save me money it saves me time as well. Hey, I am a busy mom and my time is precious. I am able to purchase these items, and either have these items picked up at the store or delivered to my door for free! Let me tell you about my biggest money wasting mistake when it came to my babies; I will buy and buy and hardly look at what I already had. You see, newborns grow at a rapid pace, and yet we seem to spend so much money on clothes that quite honestly, even when you try to sell it in a consignment store you won’t get a lot back for it. But more about baby clothes later, I want to continue with baby inventory for a minute. 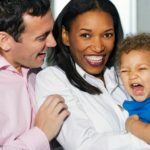 How are you going to know what your baby needs if you don’t see what you have? Yes, I understand about having extra things because sooner or later you will use, but when money is tight one week, over buying on an item or forgetting an item you need will cost you money. Knowing what your baby in diapers has at home and what they need or are going to need will help you save money. You will know what to buy, and you will also save time shopping because you know what you need to purchase. OK, let’s talk buying expensive overpriced clothes for a minute here. Ever visited a consignment store or event? You will notice that infant section in a consignment event is pretty big and that is because people overbuy on clothes for their kids. Here’s the deal, babies grow at a rapid paste and purchasing overpriced name brand clothes because you want him to look amazing to others is not smart at all. All parents know that babies don’t care how they look as long as they are comfortable. Comfort is key to a baby, and if you are want to talk about clothes and toddlers, you can imagine what they will do to them. I can’t tell you how many outfits my boys only used once or twice or not even at all because I had so many infant clothes in the closet. You can save money on your baby in diapers and use that money for something else. Start today by creating a baby budget, checking your baby inventory, writing down a list and buying store brand, like Parent’s Choice to help you save money. Believe me; you will see the saving grows as you continue to use these money-saving tips. I believe that these tips will help you save money. 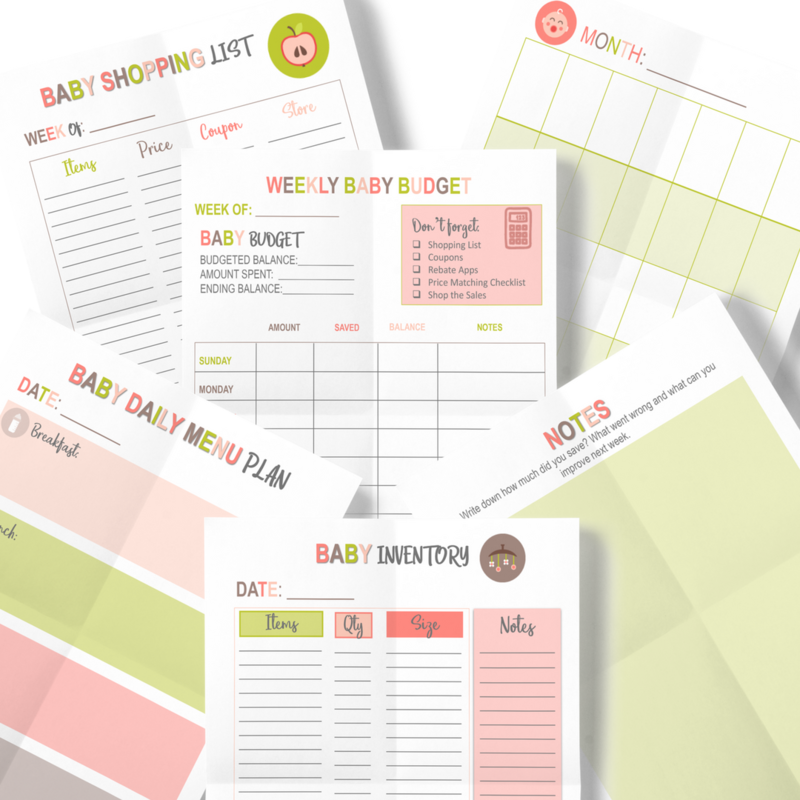 Click the photo and download this 10 page Weekly Baby Budget Planner for free! Your turn: Having a baby in diapers is a lot of fun, how do you save money on baby essentials?